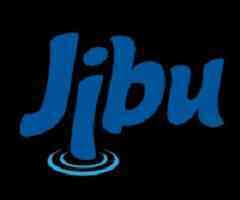 Jibu Tanzania is a social business pioneering a powerful model that provides opportunities for entrepreneurs in underserved emerging market communities to own businesses that ensure access to basic human necessities, with packaged drinking water as an anchor product. Revolutionize the way critical resources are leveraged to meet basic necessities in Tanzania. Building a network of locally-owned franchise businesses in Tanzania who provide access to affordable drinking water in their communities. This position is focused on and responsible for overseeing and managing all operational and business aspects of Jibu in Tanzania on a day to day basis – to include planning and supporting expansion operations. The expectation is that the COO will quickly identify opportunities within the operation to make improvements and continue growth in the most effective way possible. This will include proactively identifying and overcoming gaps and weaknesses, assessing strengths and utilization of team members, helping both staff and managers to develop priorities and implementation plans, helping with the professional development of team members, incorporating fresh and innovative ways of doing things that will yield greater results for the company and its operations. The COO will directly be involved in all company activities, leading from the front, with a can-do attitude. Support financial planning efforts, including budgeting, forecasting and P&L analysis alongside the Finance Manager, Franchising Director and MD. Improve day to day accountability against operations and strategy across Jibu in close coordination with managing director, Finance Manager and other executive team members. Contribute & lead the senior leadership team responsible for strategic planning, team development, management of regulatory requirements, and growing a profitable social impact business. Support senior leadership team in business development efforts (loan applications, financial modelling, grant writing) to secure funding to grow the company. This is a Senior executive management position, expected to work highly autonomously. across the business units and functional areas. Personality profile: practical, persistent, likeable, resourceful, organizer (process-driven), likes challenges, strong sense of follow-up, attention to detail, hard worker, multitasker, humble. Send resumes and statements of interest and experience to [email protected].com. Due to the volume of applications, we may not be able to respond to every application we receive. If you have not received an invitation for an interview from us within 4 weeks of applying, please consider your application unsuccessful.